The title says it all — how can you sell a house fast in the current market when you have no equity. Here are your 5 options as I see it. If you have no equity, it may not be the time for you to move. Since 2007, many home owners have seen their equity positions destroyed or wiped out. If you are at a place where you can wait for your equity to recover, wait it out. I personally own one house where I have negative equity. That means I owe more than the house is worth. I’ve been in a position to wait and the value of the house has almost recovered back to where I have no equity. If you need to sell your house fast, this option doesn’t help. You can set your house up in a rent to own situation. As long as you comply with the laws of the state of Virginia, this is a potential option when you have no equity. You can lease your property to a credit challenged buyer who needs 12-48 months to qualify for a mortgage. This is not a fast sale. It will help you cover your holding costs until your buyer is ready to bring in their own mortgage. If you need to sell hour house fast, the lease option will not help you. A contract for deed is where you sell your house on owner financing to a buyer. I have experience in this. It’s not easy and the laws of your state may tightly regulate your ability to do this. I had to sell one of my houses fast, and this is how I did it. This is also known as a mortgage wrap or a land installment contract. With some of the new requirements of the Federal Government and the SAFE act, you’ll need to make sure you comply with those laws to set up your contract for deed correctly. When you have no equity, but you need to move, then this can be an option to sell your house fast. 4. Sell your zero equity house and bring money to the table for closing. When you have zero equity, you won’t have the thousands of dollars necessary to pay commissions, closing costs, and seller assistance. In the decade that I’ve been selling my investment property where I use a realtor, the costs to complete the sale run between 10-15% of the purchase price. That includes money to help the buyer with acquisition, money for repairs, commission money to the selling agent, and all sorts of legal costs involved in transferring title to a property. If you owe $200,000 on a $200,000 house (you have no equity), then your sales cost via a traditional Realtor would be around $20,000. If you can bring that to the closing table, you can move on with your life. We’ve done that and know the pain of that solution. While you get to sell your house fast, you’ve got a lot of out of pocket costs. 5. Persuade the lenders to accept a short sale. Your final option when you have zero equity is to persuade the lender or lenders to accept a short sale. Short sales are where the lender will agree to accept less than what is owed on your property. This process is not fast, it is not easy, and it is not a guaranteed option. The fast way to sell your house is to drop your price and make up the difference from your reserves. We’ve done it when one of our investments turned out wrong. We don’t know exactly what your situation is. If your payments are already following behind, then a short sale is a potential option. While a short sale is not the fastest option, it can be an option that leads to a solution for you. We have ways of helping you negotiate with your lender on a short sale and working with your real estate agent if you have one to help get it done. If you are thinking about pursuing a short sale, we’d like to help you with it. Simply give us a call at 804/719-1489 or fill out our contact form and we can at least talk about your situation. Calls are confidential. We can talk, no matter where in the nation you are. Though we are based in Virginia we can handle calls from anywhere in the US. A common question I am asked when discussing real estate short sales is what happens with the debt that is not paid. Below are some different articles that discuss the possible tax implications of a short sale. Each article has examples. I provide these simply for informational purposes, not as tax advice or any other reason. Under the new law, a discharge of "qualified principal residence indebtedness" is excluded from taxable income. There are additional rules as to how this debt is treated in the tax code, so I recommend reading the complete article and talking with your accountant. The tax results of a distressed property disposition depend on whether the loan is a “recourse” loan or a “non-recourse” loan. If a lender’s sole option for recovering on the loan is to take back the property, it is a non-recourse loan. The non-recourse aspect of a loan may be spelled out in the loan documents, or it may be a matter of state law, as it often is in the case of purchase-money loans and seller-financed loans for owner-occupied residential property. If the lender can pursue the borrower personally for any shortfall, it is a recourse loan. In situations where there is a shortfall on a recourse loan, the lender is supposed to send the IRS and the borrower a form 1099-C reporting the borrower’s COD income. The above website includes examples. 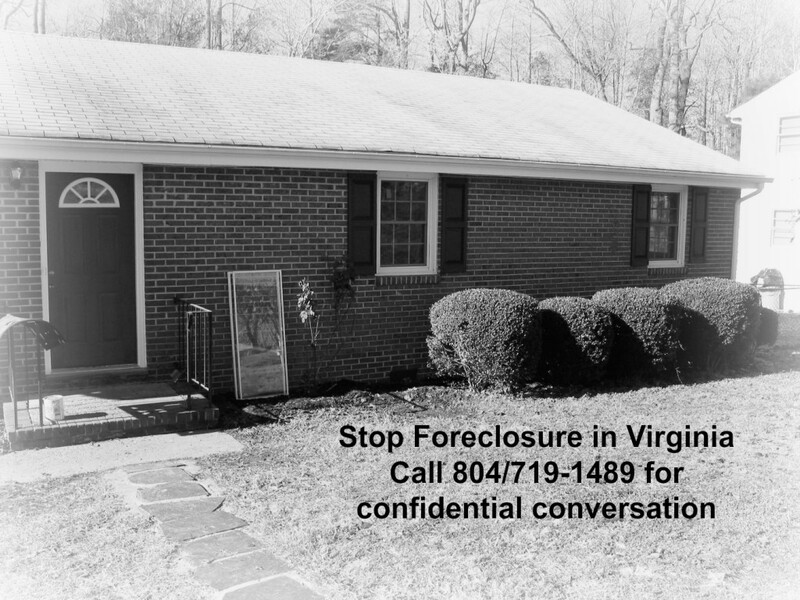 Are you seeking to avoid foreclosure in the state of Virginia? Open and respond to mail from your lender. Contact a HUD approved housing counselor. Use your assets to recover the debt. Avoid foreclosure prevention companies that charge fees up front. Don’t loose your house to foreclosure recovery or prepay loan mod Scams. Should I sell my house to Avoid Foreclosure in Virginia? Are your mortgage payments falling behind? Can you bring your mortgage payments back to current in lump sum as they demand? Has the lender refused to approve my loan modification? If you have answered yes to any of these questions, then one option is to sell your house to a home buying professional like us. If you decide to sell your home to avoid foreclosure in Virginia, you can rest assured that we will treat you fairly and with respect. You are not alone in this, and we have solved foreclosure problems for homeowners before. There are no fees to you and we will tell you quickly if we are able to help you. Take over from toxic mold. Upside down and no equity. There may be plenty of reasons. These are some of the common reasons that sellers like you tell me over the phone or by email when we communicate about selling your house. Your solution depends on your situation. If it is debt related (foreclosure, liens, judgments) are some but not all options. One option (and not your only one) is to work with your lender to modify your loan. Many lenders are work with distressed sellers to try and work out a solution. Some people have delayed the inevitable by filing bankruptcy. That is not my line of business, so talk with a bankruptcy attorney. A third option is a Short Sales. 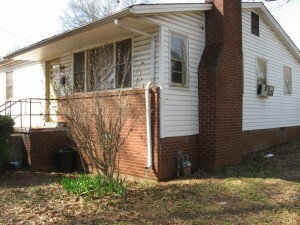 I have written plenty here in the Short Sale category and I invite to to read through some of it. Start with this page on Short Sales. I can do a short sale, but it takes a few months. Another option is to sell you house to an investor like me. In this market cash is hard to find but with some creativity on your part and mine, we might find a solution that works. Simply tap the GET OFFER button below or give me a call at 804/719-1489. That means you owe more than your house is worth in the present market. For various reasons, you likely have seen the prices of houses falling (nationwide about 15%) in your neighborhood, and the number of bank owned foreclosures listed with realtors. As homebuyers buy these foreclosed REOs (real estate owned), it drives the value of your house down. For example, in 2005, you paid $215, 000 for your house. You took out two mortgages for 100% financing. That same house today, might only be worth $175, but you still owe $215. The ARM rate has reset and you find yourself falling behind on payments. What to do when you are upside down? A short sale might be the solution for you. Read my section on short sales to find out if this right for you. If you want to procede, simply give me a call at 804/719-1489 and I’ll tell you if I can help you with your short sale. This consultation is free. If it is 3 in the morning, use this form and I’ll give you a call the next business day. 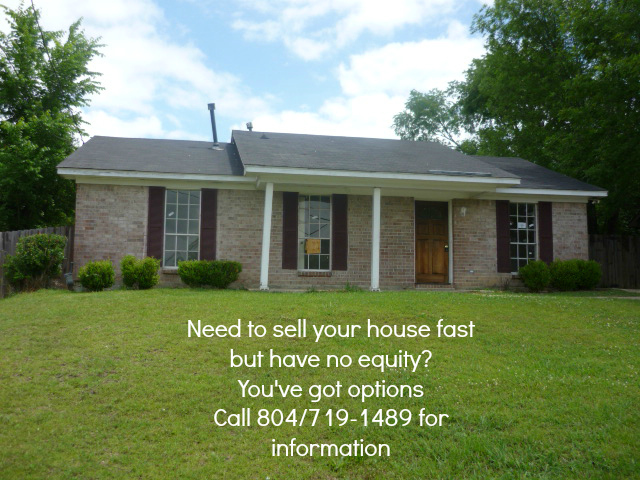 You’ve got a house that you want to sell fast in Richmond. You may have tried the conventional way with an agent and failed after 90 / 120 / 180 days. There are several investor homebuyers like in our market. Why spend hours making phone calls that they don’t return, or talk with an intake operator who will say “I’ll pass this along” and you never hear back from them. When you call us, you’ll likely get me on the phone. No intermediaries. You talk direct with the owner about selling your house fast in Richmond. Likewise, we’ve got a network of thousands of investors that can help you if we don’t personally buy your house. We have the expertise to help you move your house to our network. How to sell my house fast in Richmond Va. Pick up the phone and call me at 804-719-1489. Let us talk on the phone for an initial consultation to discuss how you can sell your house fast to a professional home buyer like me. The fastest record we have had to unload a house was about 4 days (which turned into 8 because of surprise title issues). The seller got their cash in record time. Hint: price it right and you will sell your house that fast. If you expect last year’s peak price point, you won’t sell your house fast, and it will likely sit on the market for 120 days unless it is move-in ready and you have a qualified buyer. If you are looking at this at night, feel free to use this GET OFFER Button to about your situation and we’ll have a confidential discussion on the telephone. Most people don’t buy a house with the intent of getting behind on payments and facing the prospect of foreclosure. There are two main ways to lessen the likelihood of foreclosure before you’re even move in the house. First, simply don’t put yourself in a situation where you won’t be able to afford your mortgage. This is something that many buyers have done with creative mortgages, ARMS, pick a pay loans, and all sorts of untenable mortgages. Just because the mortgage lender approves you for a loan at a certain amount doesn’t mean you can actually afford the payments on that loan. On our first home we qualified to purchase a house at $495,000, but we bought one at $95,000. That kept our mortgage payments small. Second, have a solid grasp on the details of your loan. Make sure you understand the payment structure of each and how it may change over the years. Don’t simply sign the documents without reading them, simply because you need to refi or make a purchase. I have dealt with many homeowners who signed for loans that were “different than they thought.” At the last minute, the lenders swapped loan products and as buyers, they felt trapped into accepting a loan with awful terms. Don’t let that happen. Already Behind on Mortgage Payments? So what can you do if you are behind on payments already? There are some options available to you. Simply dig around the website to see them, but perhaps you simply want to talk with someone. Give us a call at 804-915-719-1489 or fill out a form to Get our offer in 24 hours. Calls are confidential and even if we can’t help you, we can still provide you with some resources to help. Mortgage News Daily issued a report that takes A Look at Foreclosures Costs. The cost of a foreclosure, it turns out, is pretty staggering and we wonder why lenders and the investors they represent aren’t jumping at a solution, any solution, that would allow them to avoid going to foreclosure whenever possible. According the Joint Economic Committee of Congress, the average foreclosure costs $77,935 while preventing a foreclosure runs $3,300. This suggests that lenders would be more open to prevention, or even a short sale. However, the last few short sales that I’ve work, the lender’s bureaucracy eventually caused the short sale to fail. We were looking at a house with ARV of 350. The problem we had was the lenders BPO contact failed to return phone calls to schedule access to the property. We were working this short sale for 7 months . . . . It wasn’t for lack of trying. 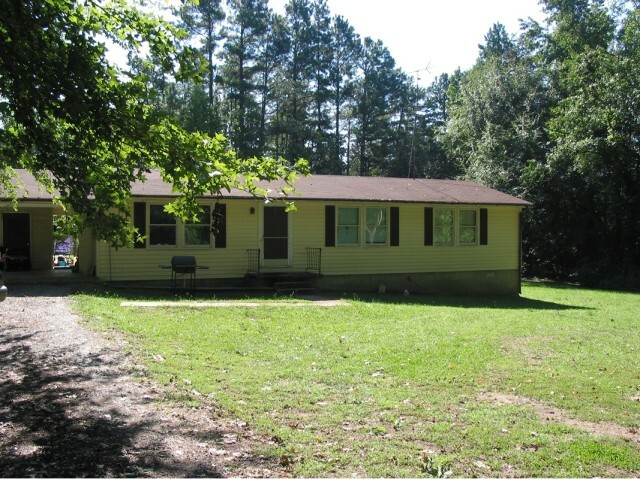 The house was foreclosed on, and it was listed in the MLS for 149. And sitting on one’s hands, waiting, is exactly what some professionals say is the last thing a homeowner should do. Though executed more quickly than foreclosures, short sales are time-consuming — for lenders, homeowners and real estate agents. To hurry the process along, . . . . . make sure paperwork is organized and submitted in a way that will get the sale approved. Short sales take longer than standard sales — anywhere from 30 to 180 days, Herzberg said. In part, the process drags on because necessary procedures such as home appraisals take time. The appraisal alone can take 10 to 17 business days, Knight said. Discussions between the many players involved — homeowners, real estate agents, banking institutions, mortgage insurers, investors and others — also take time. When lenders do approve a short sale, sites such as MSN Money.com advise homeowners to safeguard themselves by procuring an agreement — in writing — that the sale absolves their debt. Jose Romero of Plaza Real Estate in San Jose, who has a short-sale listing in Menlo Park, has observed lenders requiring repayment. “Some banks issue what they call a ‘soft note,’ … basically a balance that the borrower would carry after they settle on the transaction,” Romero said. After successfully cancelling thousands of dollars of debt, a homeowner may rejoice — only to discover that, to the Internal Revenue Service, the forgiven debt represents taxable income. If you want to pursue a short sale on your home, we can help. Contact us at 804/719-1489, or submit our short sale form to start the discussion on a short sale.